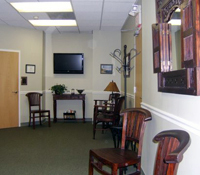 Dr. Andrew Simon is currently welcoming new patients and referrals. Please contact us with your health or insurance questions, or to schedule an appointment. If you have questions regarding billing or which insurance plans we accept, please call us at the phone number below. When calling for an appointment, please be prepared to provide the patient's name, address, phone number, birth date, type of insurance, reason for appointment, and referring physician, if applicable. For more information on our office hours and location, please visit our Contact page.